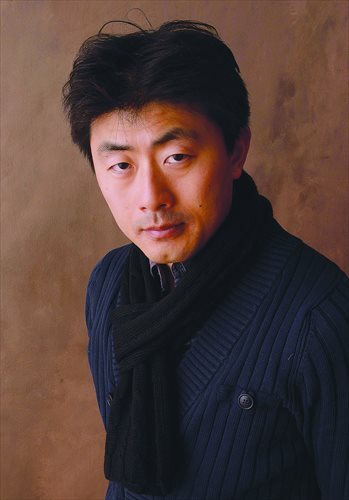 Chinese filmmaker Zhao Qi is not a newcomer to the Sundance Film Festival. He's had four films here in the last five years. That's pretty impressive, for the uninitiated. But the Emmy winner hopes his latest one, The Chinese Mayor, will finally win some silverware at the independent movie showcase event, held annually in the Utah mountains, ending this coming weekend. The 40-year-old also wants the film to counter Western misconceptions of his homeland, and show the reality of the modern country with a rare portrait of life in a Chinese city. "I always think that there's a misunderstanding about China, especially for the Chinese government and Chinese party," he told AFP in an interview, while insisting he was not a supporter as such of the Beijing government. "I would not say a fan," cautioned the producer, but added: "At least he's [President Xi Jinping] doing something more than the previous administration, which gives more expectations for people." The Chinese Mayor tells the tale of Geng Yanbo, dubbed "Demolition Geng" after he became mayor in 2008 of former imperial jewel Datong, some 350 kilometers west of Beijing. The city served as the capital of the Northern Wei Dynasty (386-534) during its heyday 1,600 years ago. But decades of mining in the 20th century has left it dubbed one of China's most polluted regions. Geng earned his name from his campaign to demolish much of the city center, relocating 40,000 of its 140,000 households, before rebuilding it in an ancient style, with a view to attracting tourists. He is shown dealing with the complaints of ordinary residents on the street, regularly deciding individual cases on the spot, while berating his city contractors for their incompetence. The downtrodden locals are shown lambasting Geng and other party and city leaders as being out-of-touch with reality, ignoring their plight in his drive to push through his overall city renewal plan. But bizarrely, after the mayor is promoted to the bigger provincial capital of Taiyuan and leaves much of the projects half done, there is a massive popular outcry calling for him to stay. "Through making the film we learn it is never only a black and white world, or simply good and bad," said Zhao. The stereotypical view of corruption-plagued government is unfair, he argues, or at least is only part of the whole story - which the producer says has not been told enough. "The audience here (in the US) they get most of their information from the mainstream media, which is always a quite stereotyped one. I don't think they cover most parts of China," he said. In fact, he said, even Chinese Central TV "don't cover most parts of China either." "There is this (story), it needs to be delivered to people. And nobody is doing that job. I hope that as independent observers, we're able to deliver that message."